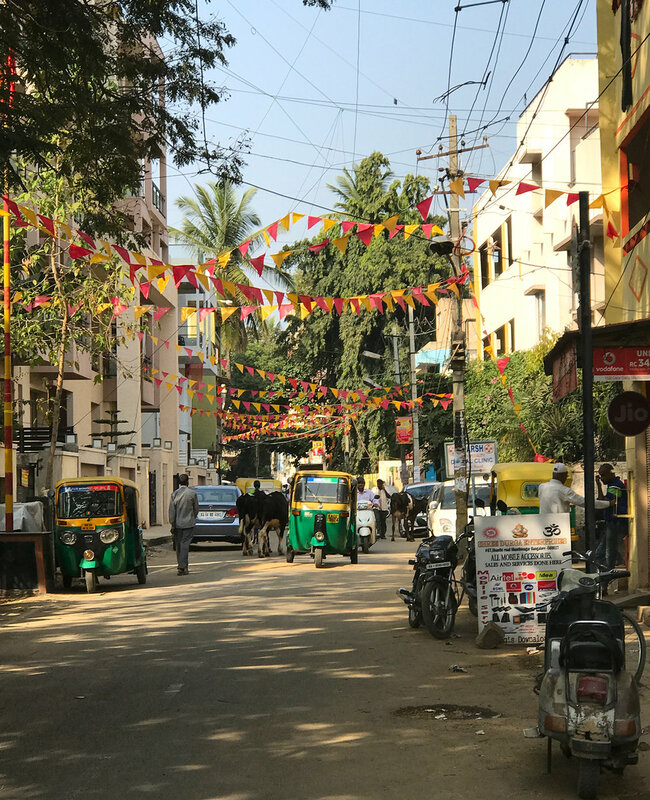 The last six weeks we stayed in Bangalore at 1Shanthiroad Studio/Gallery from where we went to different side trips, once to Madurai and twice to Kerala. 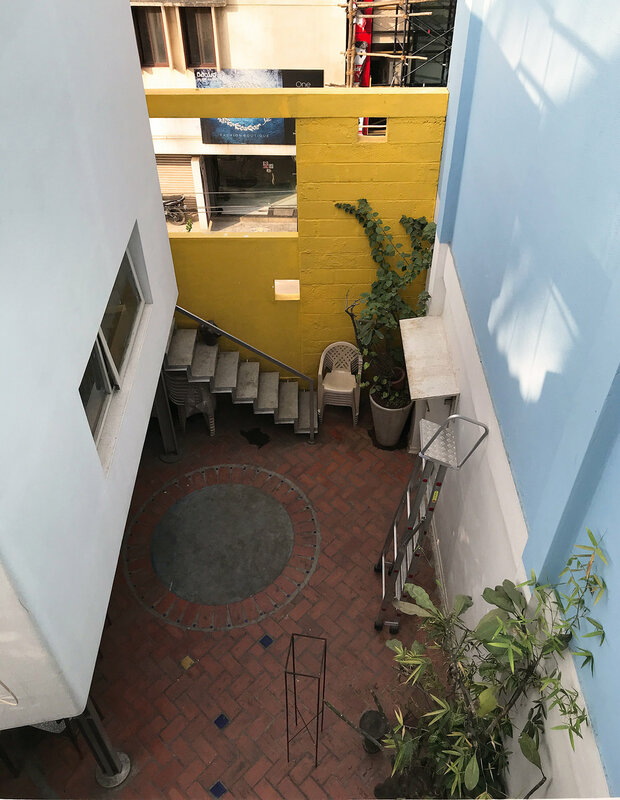 Founded in 2003 by Suresh Jayaram, 1Shanthiroad Studio/Gallery turned into a well known, very good connected and beloved space for artists of various fields in the past 14 years. 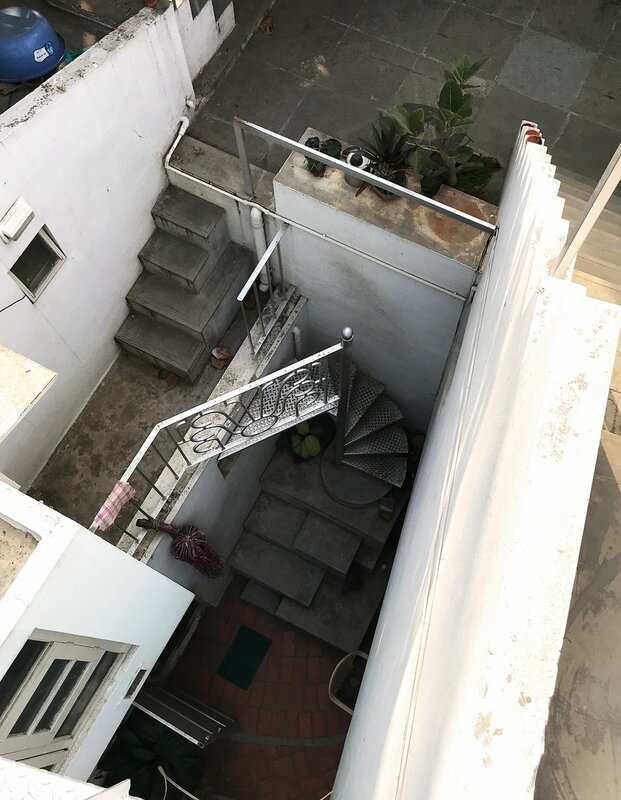 As the name suggests this place is a multi functional space: there are two open courtyards that can be used for working and having meals together, there’s a gallery for exhibitions, screenings and lectures and there are different rooms for the artists-in-residence spread over three floors. The rooms and floors are connected to one another through twisted stairs, hidden paths and even a small bridge. It makes you feel a little like living in one of M C Eschers famous drawings. During our stay we met various artists from all over the world and multiple disciplines. This created a very inspiring and vibrant atmosphere for exchanging knowledge and getting fresh ideas and inputs. 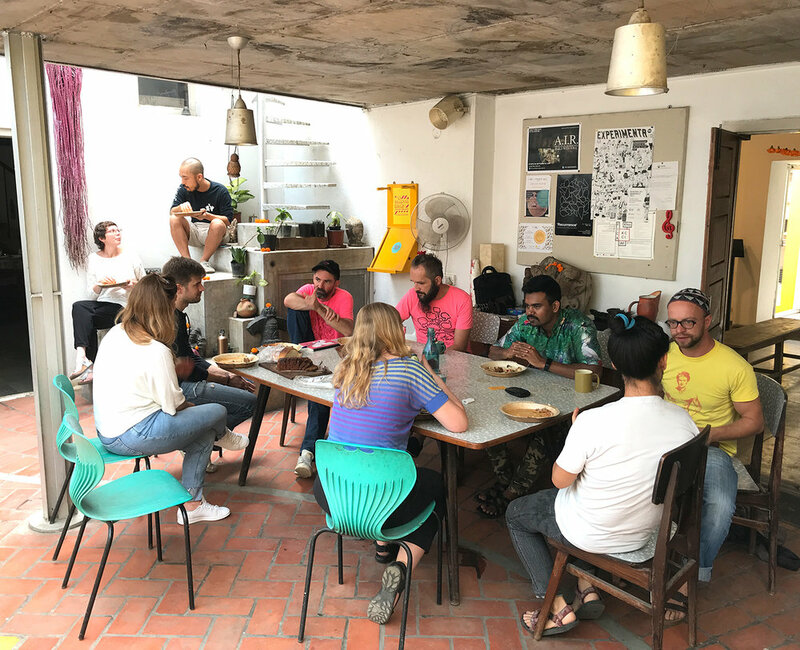 Many of these artists were at 1Shanthiroad not for the first time but came back to Bangalore to the lovely Studio/Gallery to work on their projects. Suresh Jayaram, founder of 1Shanthiroad Studio/Gallery. Ashok Vish from the 1 Shanthiroad Studio/Gallery. Sandeep TK from the 1Shanthiroad crew. lunch time: time for a creative break and inspiring exchange. Working on a prototype in this beautiful atmosphere. This is the Shanthi Road. The kids from the neighborhood during a festival at Shanthi Road. 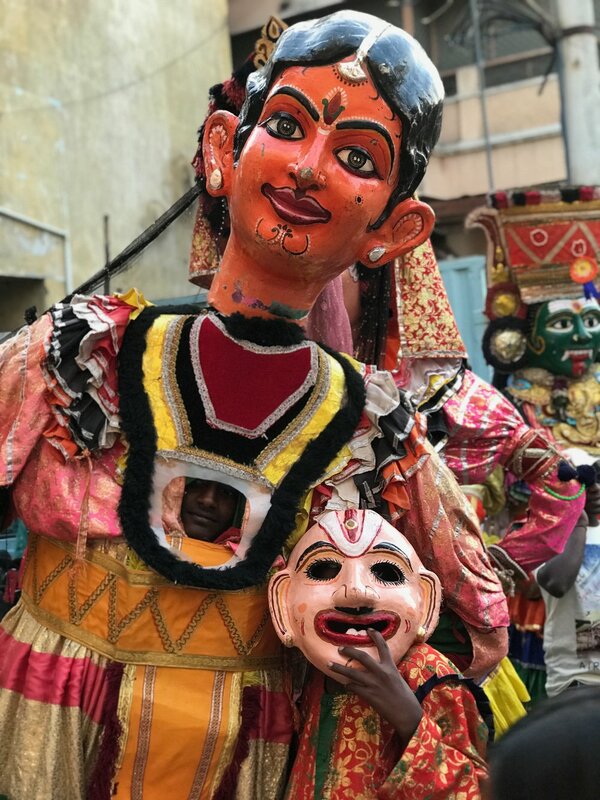 Traditional masquerade at the festival. Goodbye selfie - Sandeep, Suresh, Luki and the two of us.